Naldo: "Not just special for me"
Wolfsburg - Three more points towards a possible place in Europe are on the line for both VfL Wolfsburg and Werder Bremen when they go head-to-head on Saturday afternoon. For the home side's new defensive coordinator , the match will have an added resonance, given that he spent seven years at Werder before signing up with the Wolves ahead of the current campaign. In an exclusive interview, the four-time Brazil international reflects on the upcoming reunion, Wolfsburg's resurgence under caretaker coach Lorenz-Günther Köstner and the Bundesliga's popularity with his compatriots. bundesliga.com: What has changed at the club since Lorenz-Günther Köstner took over as head coach? Naldo: The coach talks to us a lot, and listens to us. That's very important, because obviously not everybody can play every week. We have a big squad and everyone wants to have his say. In that situation, it's vital for the coach to find the appropriate response. Lorenz-Günther Köstner does just that, he's an enormous help to the team. bundesliga.com: You know Klaus Allofs from your long time together at Werder Bremen. What do you think his arrival will bring to the club? Naldo: He's a very good sporting director. What he did for Bremen over all those years speaks for itself. I'm sure his experience will help Wolfsburg to move forward. On top of that, he's a good listener and likes to be in the thick of things. He places a lot of emphasis on communication. bundesliga.com: To what extent is Saturday's reunion with Werder a special occasion for you? Naldo: It's not just special for me. and Klaus Allofs both have happy memories of Bremen as well, of course. Obviously we'll be having a chat with our old team-mates. I'm not anticipating any negative reaction from the Werder fans, because I always gave my all for the team. I had seven great years in Bremen and still have a lot of friends there - I've invited them down to Wolfsburg for the match. bundesliga.com: Yourself and Simon Kjaer have become the established first-choice central defensive duo. How do you think that partnership can improve further? Naldo: We've been combining pretty well already in the last few games, but there's always something that can be improved on. Overall as a team, we're continuing to work on getting our routines and interplay off-pat. bundesliga.com: You scored your first goal for Wolfsburg at Hoffenheim. Are those trademark free-kicks of yours down to hard work in training or natural talent? Naldo: Talent on its own isn't enough in football these days. I've always practiced my set-pieces and as a result I've become pretty good at taking free-kicks over the years. bundesliga.com: What would a realistic target be for VfL Wolfsburg this season? Naldo: The Bundesliga's a very strong league. Every week you see it - pretty much every team have a chance of beating whoever they're playing. And if you look at the table, it's clear how quickly your fortunes can change, in either direction. We know the score and we're just focusing on putting in the work right now, not worrying about what might be come the end of the season - only the next task in hand. bundesliga.com: The change of coach has triggered a form explosion in your compatriot Diego. How do you explain that and how important is he to the team? Naldo: No-one's in any doubt about his ability. Diego's shown time and again what he's capable of. He's a very valuable member of the team and can take our game up to a different level. Diego's always a potential matchwinner with his goals and assists, but he needs a strong, properly functioning team to unfold his full potential. And again, that's why it's important for us to keep playing as well as we have been recently and, above all, keep working as a unit. bundesliga.com: Wolfsburg alone have five Brazilians on the books. What makes the Bundesliga so attractive to your fellow countrymen? 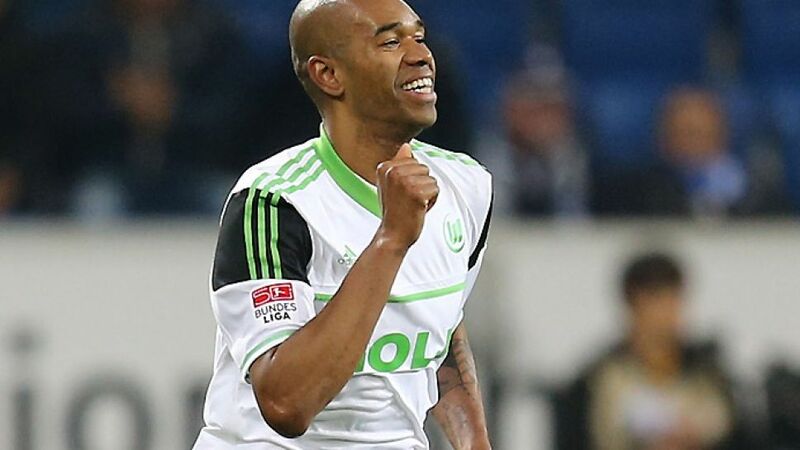 Naldo: The Bundesliga's one of the strongest leagues in Europe, if not the strongest. It's good-quality football, played at a very high standard. Getting a foot in here is, or would be, a dream come true for a lot of Brazilian players. State-of-the-art stadiums, always well attended and the chance to measure yourself against great players and teams - it just makes for an enjoyable package all-round.